In the late 1980s, the Council of Northeast Governors (CONEG) was concerned that heavy metals in packaging would accumulate in recycled materials to levels that presented serious health concerns. The organization drafted model legislation that prohibited the intentional addition of mercury, lead , cadmium , and Hexavalent chromium to any component of packaging, including inks. It also set a 100 parts-per-million limit on the total amount of these four heavy metals. To ensure compliance, companies making packaging materials had to provide certificates of compliance to downstream purchasers and report compliance to the states. In addition to heavy metals and PFAS, EDF has identified other chemicals in food packaging and food handling equipment, whose ubiquity and potential health impacts raise serious concerns about food safety and contamination of the recycling stream. These chemicals appear in either plastic or paper packaging or both. Ortho-phthalates (primarily used in plastic but many other uses including printing inks): Studies show that these chemicals are linked to endocrine disruption, developmental and reproductive toxicity. Their contamination of food is widespread. Their safety is currently under review by FDA. Perchlorate (anti-static agent used in plastic for dry food and in food handling equipment): This chemical disrupts the thyroid gland’s normal function and reduces production of the thyroid hormone needed for healthy fetal and child brain development. Food contamination is widespread; especially problematic is the increase of perchlorate levels in baby food dry cereal. The safety of perchlorate is currently under review by FDA. Per- and poly-fluorinated alkyl substances (grease-proofing agent used in paper packaging): PFAS, often distinguished as long-chain or short-chain, are bioaccumulating, persistent chemicals associated with an array of health problems including endocrine disruption and children’s developmental harm. There is widespread human exposure to PFAS; water and food are the likely sources. PFAS in food packaging will be banned in Washington State two years after the state finds suitably available safer alternatives or in 2022, whichever date gives manufacturers more time to redesign packaging. benzophenone (used as a plasticizer in rubber articles intended for repeat use): Citing the carcinogenic evidence regarding benzophenone, FDA has banned its use as a flavor and in food packaging. The bans go into effect in 2020. Methyl and Ethylglycol, Toluene , and n-methyl-pyrrolidone (NMP) (NMP): These solvents, often used in printing inks, leave residues in packaging and pose a risk of reproductive or development harm. Toluene and NMP have been targeted for removal in other product categories as well. Toluene has been targeted by a number of retailers, including Amazon and Rite-Aid, for removal from personal care and beauty products. NMP has been targeted for removal from paint strippers by several retailers including Home Depot, Lowes, and Walmart. EPA has proposed banning use of NMP as a paint stripper and is expected to finalize that proposal for retail sales soon. Bisphenol A , B, F , S (used to make epoxy lining in metal cans, to make polycarbonate plastic, and ink): One or more bisphenol compounds has been linked to endocrine disruption, developmental and/or reproductive toxicity. BPA is already banned for baby bottle use or coating of infant formula packaging. BPS became a common replacement to BPA in packaging, but recent studies demonstrate similar health concerns to BPA. Heavy metals (lead, arsenic, cadmium, chromium VI, and mercury): These chemicals are highly toxic and have been regulated in a variety of applications. 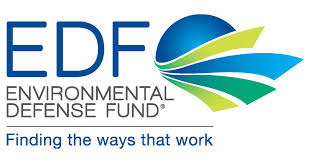 EDF has demonstrated heavy metal contamination in food, particularly baby food. Though not intentionally added, contamination of food packaging may be a source. FDA’s Toxic Elements Working Group is evaluating children’s exposure to heavy metals across all foods. See our table describing in more detail the most concerning toxic chemicals in food packaging, and why they should be addressed first.